Do citizens have an obligation to obey the law? 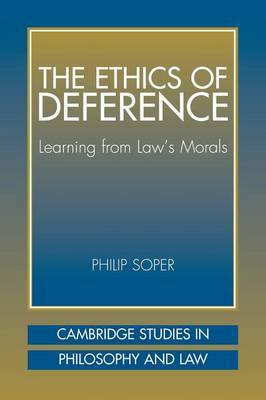 This book differs from standard approaches by shifting from the language of obedience (orders) to that of deference (normative judgments). The popular view that law claims authority but does not have it is here reversed on both counts: law does not claim authority but has it. Though the focus is on political obligation, the author approaches that issue indirectly by first developing a more general account of when deference is due to the view of others. Two standard practices that political theorists often consider in exploring the question of political obligation - fair-play and promise-keeping - can themselves be seen as examples of a duty of deference. In this respect the book defends a more general theory of ethics whose scope extends beyond the question of political obligation to questions of duty in the case of law, promises, fair play and friendship.